This was Aidan’s 1st year playing baseball. He was happy that a few of his friends from school were going to be on his team. I can’t believe how far that boy can hit a ball. We are just so proud of him. This team was such a good experience for him. It made him love playing on a team. He can’t wait for baseball to start again next year. 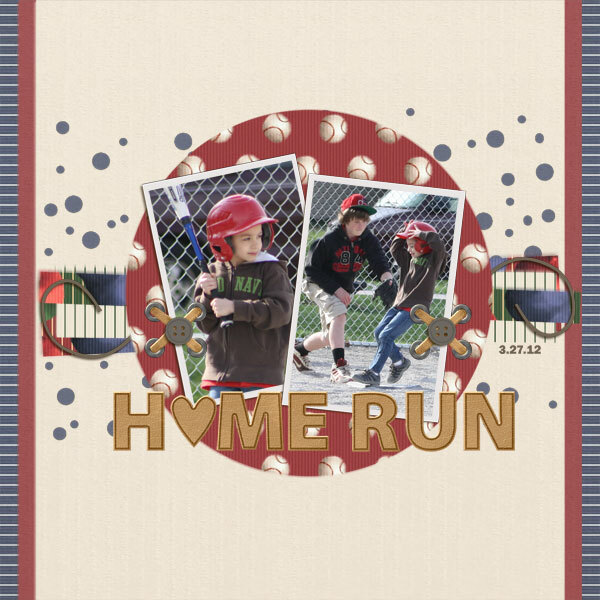 In the layout above, Aidan made a home run. As you can see from the photo, it was close. I would have captured the smile that came afterwards, but I was too busy jumping up and down. Yes, I occasionally put down my camera. His smile was one moment I didn’t need captured by my camera. I will see it forever! Love you Aidan….. I am just so proud!